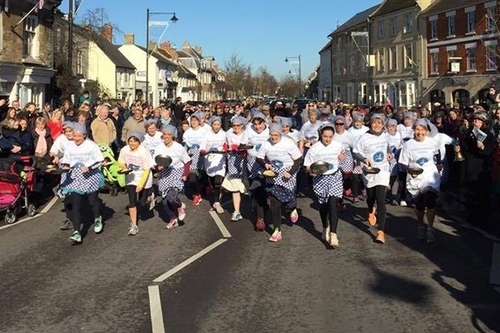 On Shrove Tuesday every year the ladies of Olney compete in the world famous Pancake Race, an Olney tradition which dates back to 1445. The race starts at 11:55am. Children from Olney schools also take part in their own races. Since 1950 Olney has competed against the women of Liberal, Kansas, USA in an international race.